Our baby was dedicated back to God 11/13/16. He was stunning in the full gown. 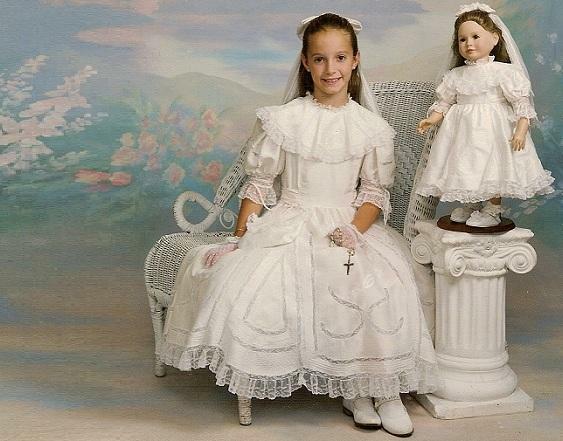 He greeted his church family after service in the one piece knickers for a sit down dinner. 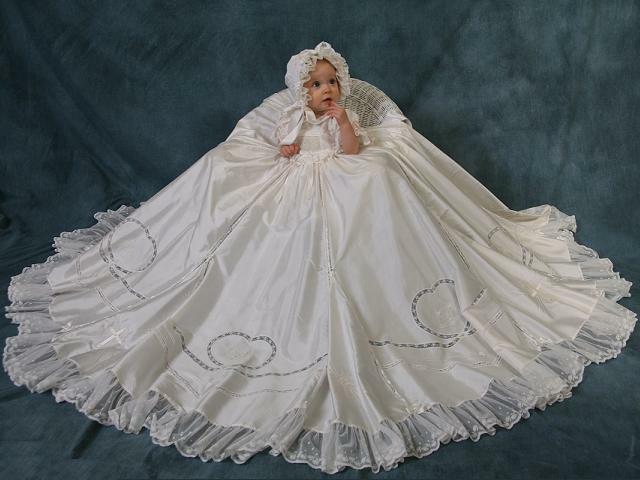 This gown is certainly a family heirloom for any future babies that his parents may have. Thanks for making such a beautiful piece! 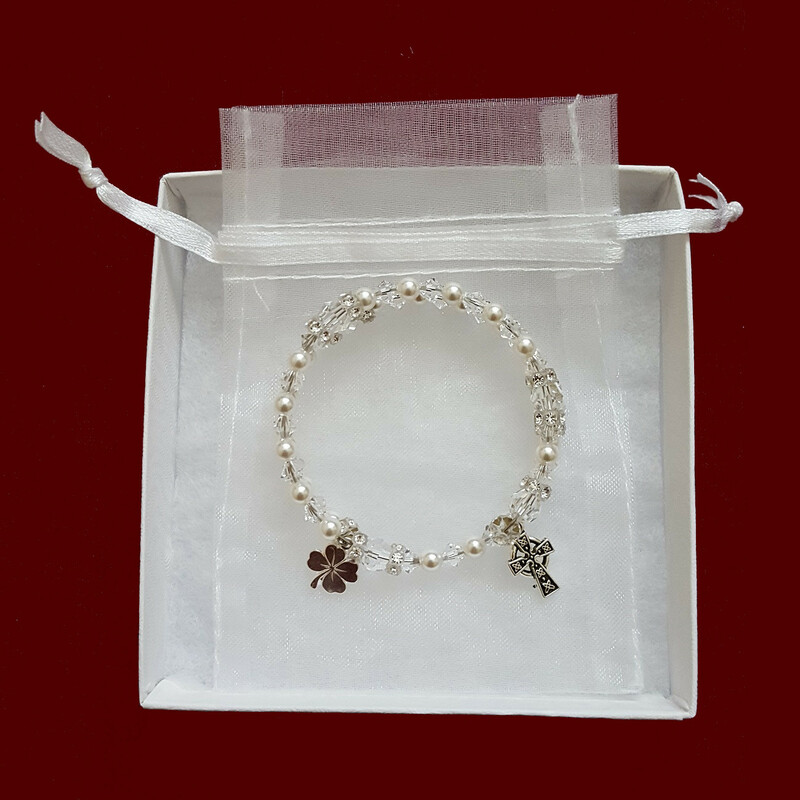 Genuine Swarovski clear crystals and pearls make up this exquisite rosary bracelet featuring the 5 decades of the rosary, beginning with the Glory Be to the Father, Hail Mary and Our Father along with a Celtic cross and shamrock charm. One size fits all (size can be adjusted). Now available with optional birthstone crystal as the first crystal on the bracelet. Gift boxed with charming poem and organza bag for storage. 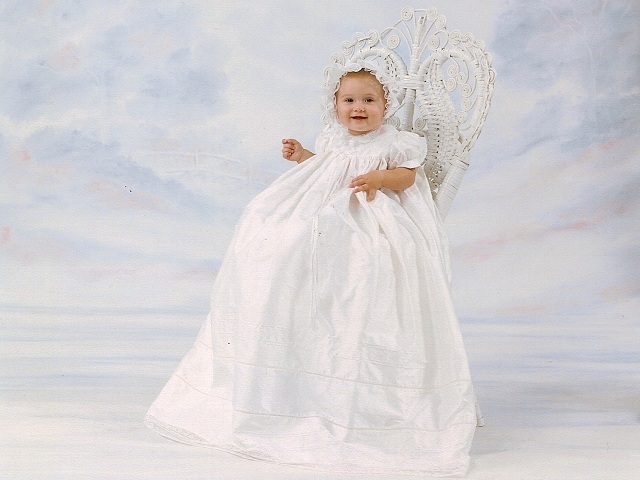 Perfect keepsake gift for Christening, First Holy Communion, Confirmation or Wedding. 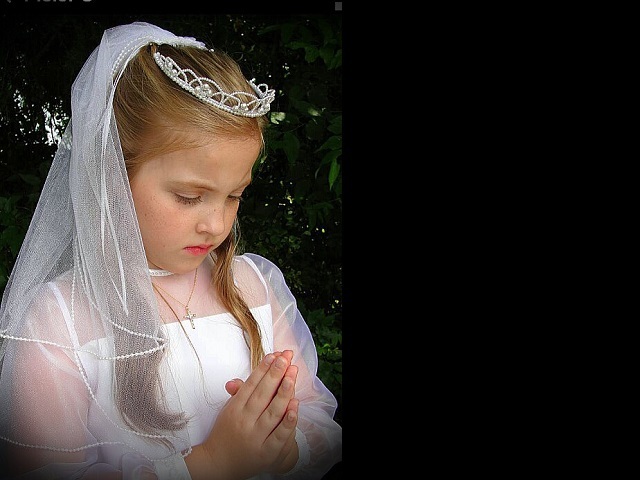 Please select Heirloom Rosary OR Wedding poem and add to special requests. **According to the new Federal Safety Standards effective August 2009, Swarovski crystals contain lead which is recommended to be worn only by ages 13+. 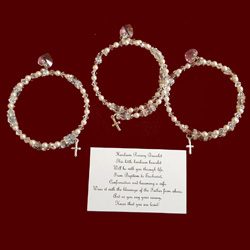 It is suggested, therefore, that these keepsake heirloom rosary bracelets are worn only for Confirmation and Weddings. 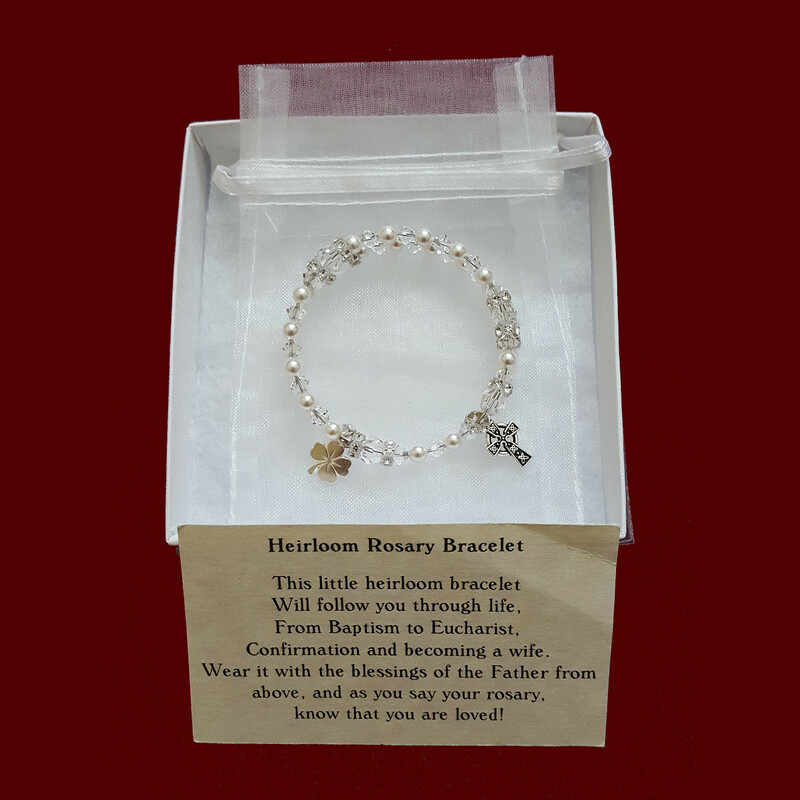 For Christenings and First Holy Communion, it is recommended that the bracelet be attached either to the outside of the garment or simply carried in the enclosed organza storage pouch. 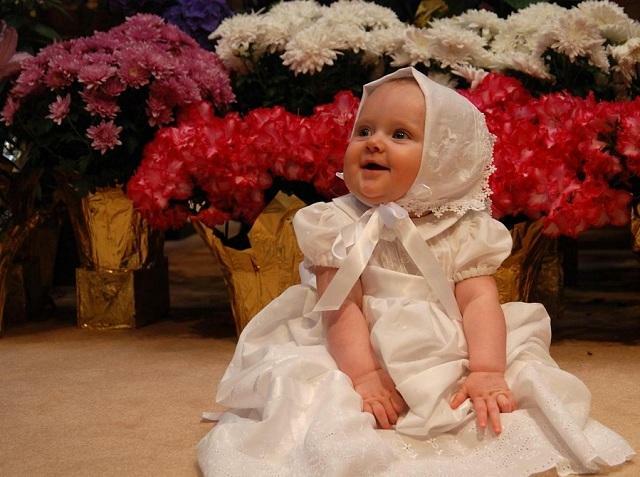 It can also be worn by babys Godmother or Mother at these sacraments to signify family unity in providing lifelong religious education to the young child receiving the sacrament.